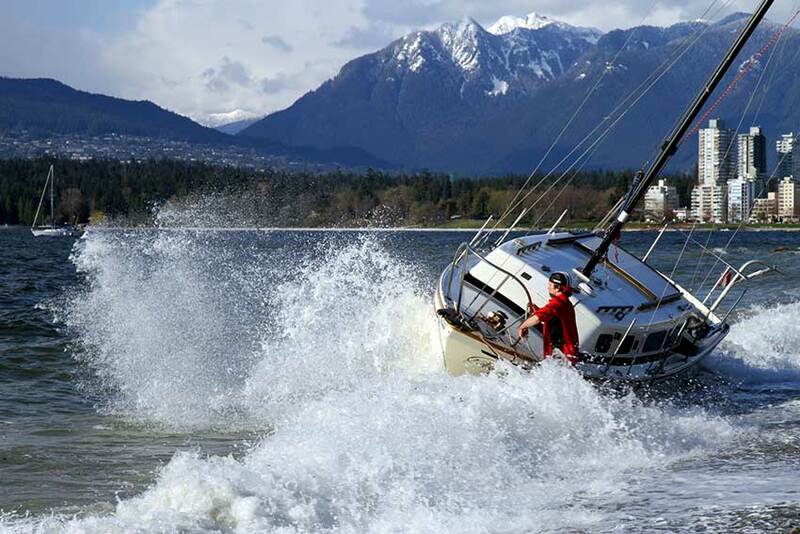 If this is your first time out sailing, then it’s probably not advisable to buy the full kit but do be prepared with some practical clothing that suits the weather. If you know you won’t be too hands on, it’s ok to wear comfortable clothing – we do tend to say don’t wear tight jeans because if you do get wet, you may find yourself very uncomfortable after a while. Make sure your clothes are casual and you are wearing non-slip shoes which don’t have coloured soles and won’t leave marks on the deck. If you will be sailing in cold weather, we would strong suggest wearing lots of layers – it is easier to move around and adjust for different temperatures throughout the day – but don’t let yourself get cold! Once you are cold, it can be very difficult to warm up again. Start with a thermal layer by your skin – that will keep the heat in as the wind picks up. Make sure you layer a shirt over that, either a long-sleeved or a short-sleeved t-shirt, top that off with a sweatshirt and a pullover. Wear warm trousers – if you are expecting pretty low temperatures then wear thermals next to your skin. Go for cotton trousers on top of that, along with track suit bottoms or something soft. Most importantly wear something that will allow you to move around easily. Shoes for yachting should be rubber-soled but make sure the soles are white and won’t mark the surface of the deck as you climb around the boat. Wear thermal socks to keep your feet warm and dry where you can. Just make sure the soles aren’t hard or likely to scratch the deck surfaces. Make sure you have packed waterproofs – that includes waterproof trousers and a jacket because, if you are sailing in the UK, you know that the weather can change dramatically in a very short space of time so it’s worth packing for all eventualities!